Notes: Station on a confined site with a modest entrance building. Manor House has a small above ground entrance and nine street level entrances, connected to a tram stop. The tram service was stopped in 1938. 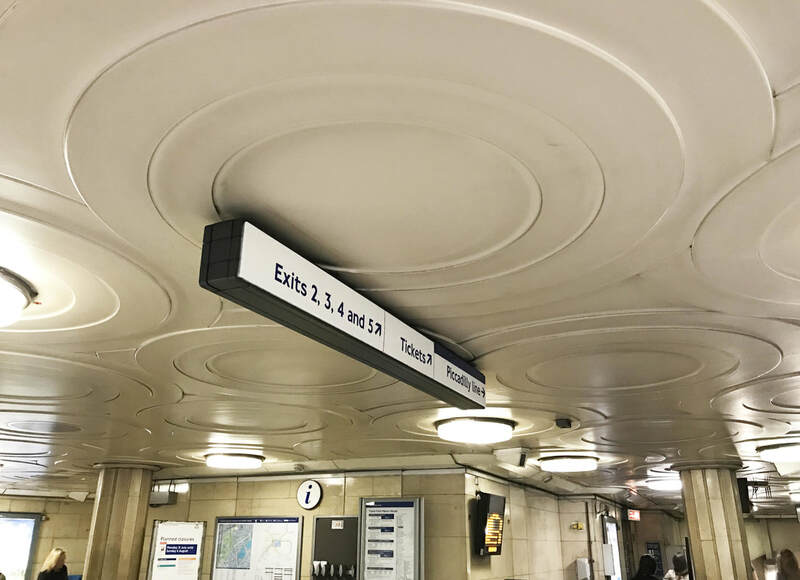 The stations most interesting features are the ticket hall ceilings design of interlocking concentric circles, and the Harold Stabler grilles on the platform.